So, it is the 7th day of 2014 and I am already being a slacker on the blogging front. One of my resolutions this year is to make this blog more personal I guess you could say. With that being said, I am going to make some changes over the next couple of weeks blog-wise. One thing I am going to do for the next week or so is share my resolution/plans for 2014 or 14 in 2014. For each of the resolutions/plans I am going to let you know what steps I am taking to reach my goals and resources I am using also. The first resolution is pertaining to my finances. In the last few months I have had MAJOR issues with spending money on going out for drinks after work with co-workers to the point where it is getting out of control. After figuring out what I was doing on the money front was clearly not working, I started looking online and books to help me get better at money-planning. One form I found was this budget sheet online. I feel like this is a good one for a college student who just has a few things that they have to pay. This is a simply way to track each month what you need to pay before you spend your money on clothes and other social activities. I actually have a notebook (similar to the ones below) that I keep in my purse so I can write down what I spend. I have always tried to keep track of how much I am using my debit card. I track what I spend by putting the receipts in my checkbook then making sure it matches up with my online statement. This actually was a life save a year ago when some tried to take about $1000 out of my account. Another thing I found is Mint. I just started using it this week and it really puts in perspective how much you spend on gas, food, and so on for month. You can sync it with you savings and checking accounts to track where your money is going. 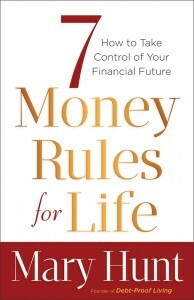 Another things I did was start reading a book called 7 Money Rules for Life by Mary Hunt. This book will be helpful no matter what stage in life you are. With all the resolutions/plans I'm making for 2014, I am going to post my progress on them at the end of every month so that I know where I am with my goals. Here's to a new beginning for me and a new year. Laters!!!!!! !